Browse the interactive version above or download this issue in pdf. 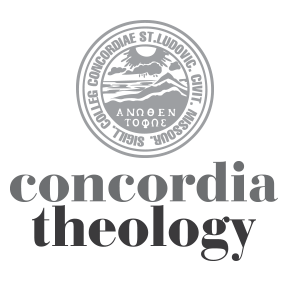 The full catalog of back issues of Concordia Journal (1975-present), along with the indexed volumes of its predecessor Concordia Theological Monthly (1949-1974), are available online at ATLASerials® (ATLAS®). ATLAS is an online full-text collection of major religion and theology journals used by libraries, librarians, scholars, theologians, clergy, and interested laypeople. Most seminary and theological school libraries have access to ATLAS as part of their online database offerings. Subscribers to Concordia Journal have free access to Concordia Journal on ATLAS through the subscriber log-in provided on the inside front cover of each issue of Concordia Journal. Alumni of Concordia Seminary, St. Louis, can obtain a free account to ATLAS for Alum, the full-text portion of the ATLAS database, by contacting Donna Church, Concordia Seminary Access Services Librarian, at librarycirc@csl.edu or 314-505-7034. Many other theological school libraries offer similar access to their own alumni. For more information, to subscribe, or to order individual print copies of Concordia Journal, please contact the editorial office at cj@csl.edu or 314-505-7117.